911uk.com - Porsche Forum : View topic - What size/type of bolt for 997 exhaust refresh? 911uk.com Forum Index > 997 (2004 - 2012) > What size/type of bolt for 997 exhaust refresh? 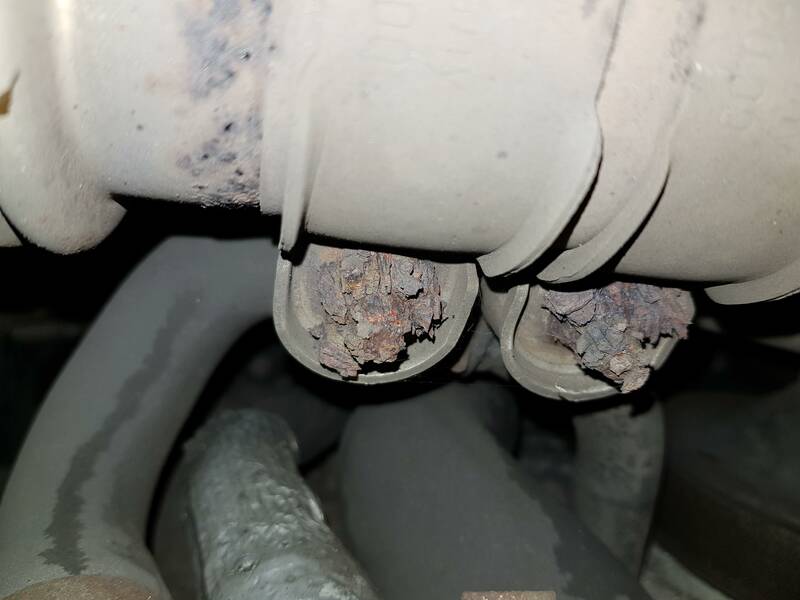 Posted: Tue Oct 30, 2018 3:40 pm Post subject: What size/type of bolt for 997 exhaust refresh? 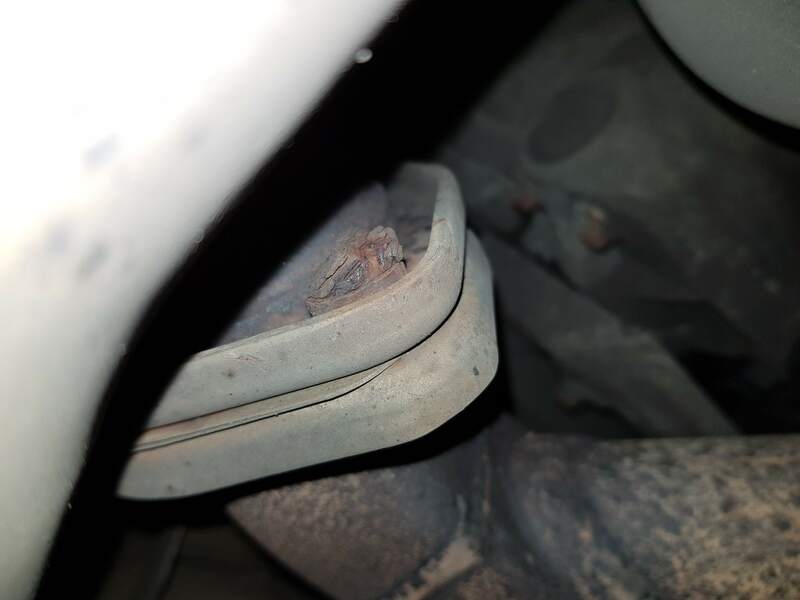 It was listed as an advisory on my last service, I stuck my head under and spotted some deformed cheese looking bolts. So will add this to the next garage visit. 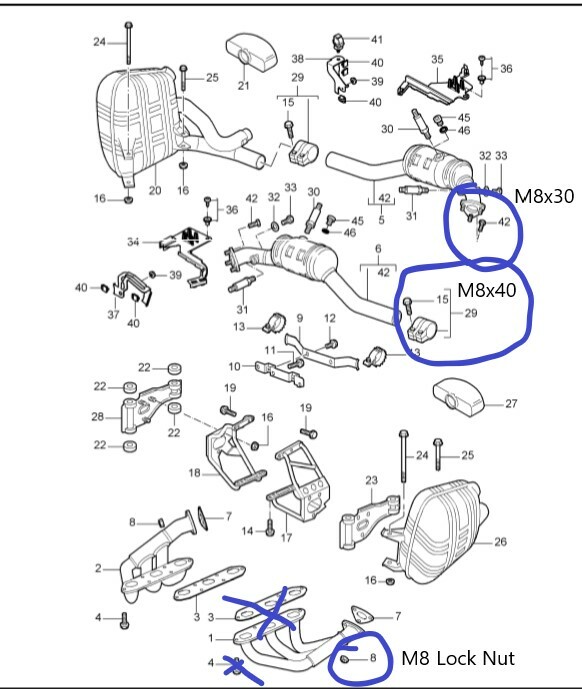 Attached I have circled the bolts I think I need but I need help with:..
1) Are the bolt sizes I have correct? What heads do they have? (Hex head with flange?) and are they all fully threaded? 2) Are all the nuts just M8 locking nuts (presumably the all metal version to stop them melting) I have seen 'binx' mentioned elsewhere. 3) Are there any other bolts I should change whilst down there? DeMort suggested not changing the manifold bolts due to grief levels. 4) Do you change the gaskets at the same time, or just leave them? 5) Where do you get your bolts from? I have seen trfastenings and accugroup mentioned. I am betting one of these guys haven't made life simple by producing a simple kit for 997's ! Good luck with this. 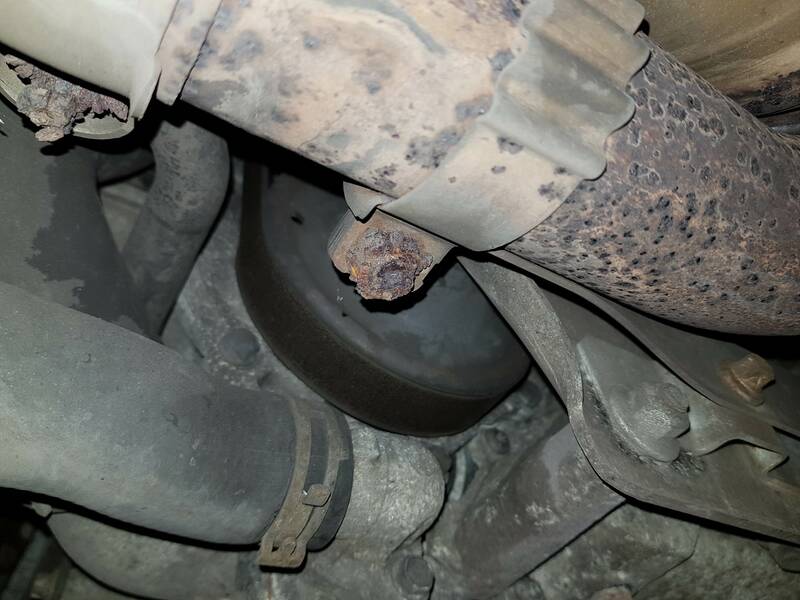 Corrosion causes what should be a few hours work into potentially days without the right tools. 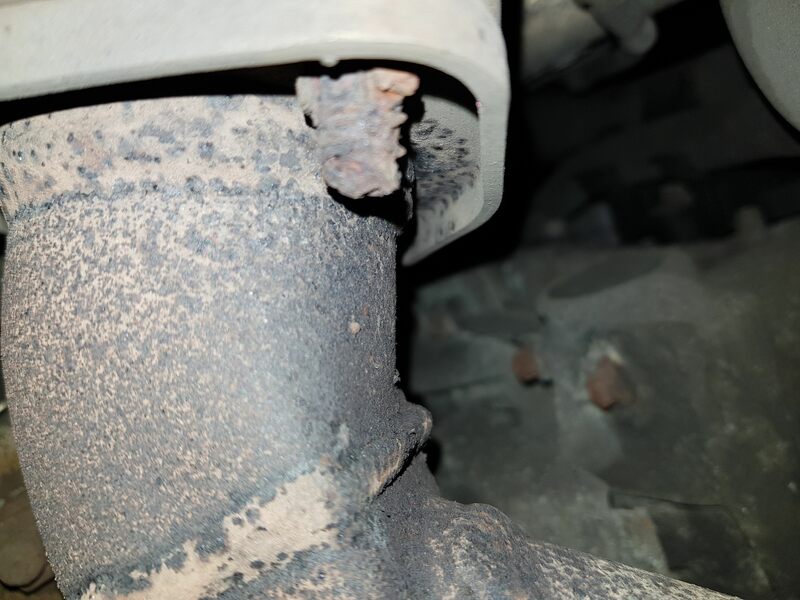 Have a read through my post when I changed the exhaust over and see if it's of any use to you. If you are taking the car into an indy to do then let them supply the parts perhaps ? For this job, it will be going to a friend of mine that is a Ferrari/Maserati specialist and gives me mate rates. He is used to his fair share of rusty bolts! I am also keen to source the best bolts I can to stop this happening for a while. Aghh ok i see ..
Well .. these systems always look pretty corroded it just depends on how far you want to go .. if you want to take a few pictures of whats corroded i can give you an idea of how long i think it will last. Scrape the loose rust off the bolts first . Basically what might look awfull to you will look to me like its still got years of life left in them and im a big fan of if it aint broke then Dont fix it ! The clamp bolts .. well you can just cut the bolts off and fit new ones there by saving the clamp. If you want to replace the clamp though you have to remove the silencers .. in this case the item 28/23 .. undoing it might snap the x3 bolts .. cut and drill out , the bolts 24/25 go into sleeves .. they corrode solid .. you cant buy them so you will need item 28 which aint cheap but only really needed to free off unless silencer replacement in which case you have to remove it ... at work we had a company make a load of these sleeves so we repair .. your mate might not be able to do this so its going to cost more . Item number 9 can snap and cause rattles with clamps 13 also corroded so they will be needed . 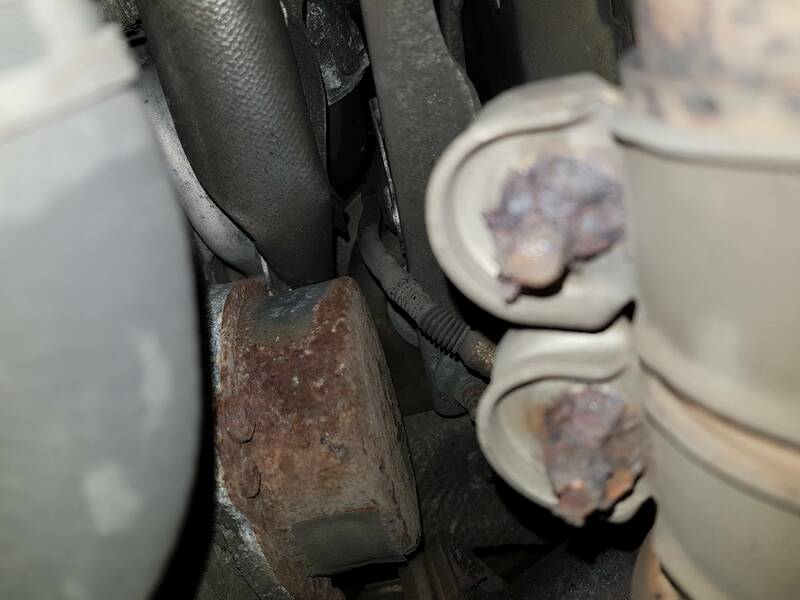 Sooo .. what im saying is theres the cheap option of flange bolts and clamp bolts .. or the more expensive version of remove it all . You use stainless steel bolts , these have to be greased .. ally grease or the nut will lock as soon as its done up . Not something you reuse . 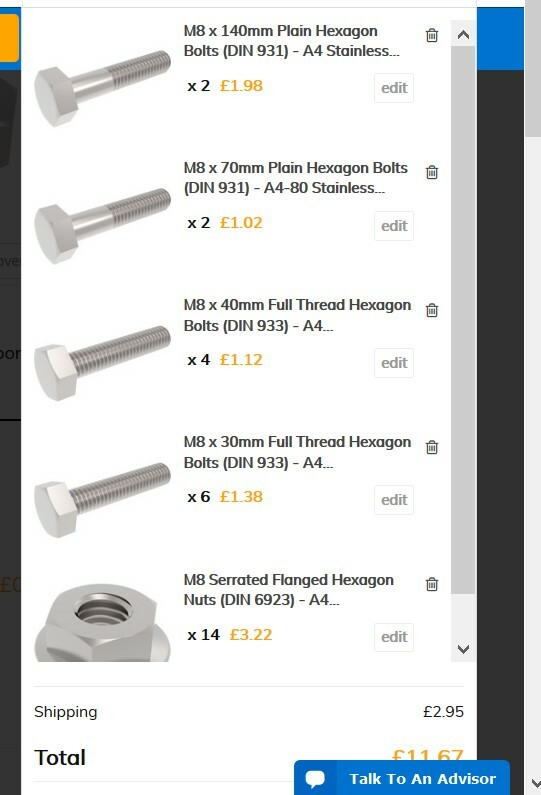 Thanks, I will just get some hex flange bolts ordered. I did take some pictures when I had to look underneath, see attached. Basically the long bolts needs to be partially threaded hence the ones I have chosen, and I will add washers to the heads of each as getting flanged versions of those are tricky. All the others seem to be non flanged full thread from Porsche but everyone uses flanged? Then a set of serrated flanged nuts, do these need to be all metal locking nuts like binx? I don't think the originals were? First the inner clamps that hold the cat support bar .. use a pry bar and just make sure that bracket isnt broken either side .. if ok then leave those inner clamps .. ive not yet seen them rot through and break . Ive replaced god knows how many of them over the years but always as i was removeing the system . The clamps look fine to me .. get your guy to cut the nut .. or whats left of it and knock out the bolt then just replace the bolts. Flange studs look to be original to me .. they are a stud so you cut the nut off then heat up the flange bolt holes and knock out the stud .. you replace with a nut and bolt .. not a stud . The clamp bolts are coach bolts .. the head is a dome with a square section that locks into the clamp .. you can replace with anything that fits though. The flange bolts we use and the nut has a washer as part of it which is serated .. ive no idea where we get the parts from im afraid .. i just fit what im given . Perfect, thanks again. Feels like I was roughly on the right track, just need to make sure I get the flanged versions where possible! Have a look on Westfield fasteners website for flange head stainless nuts and bolts. Flanged bolt is DIN 6921 just google for "DIN 6921 M8"